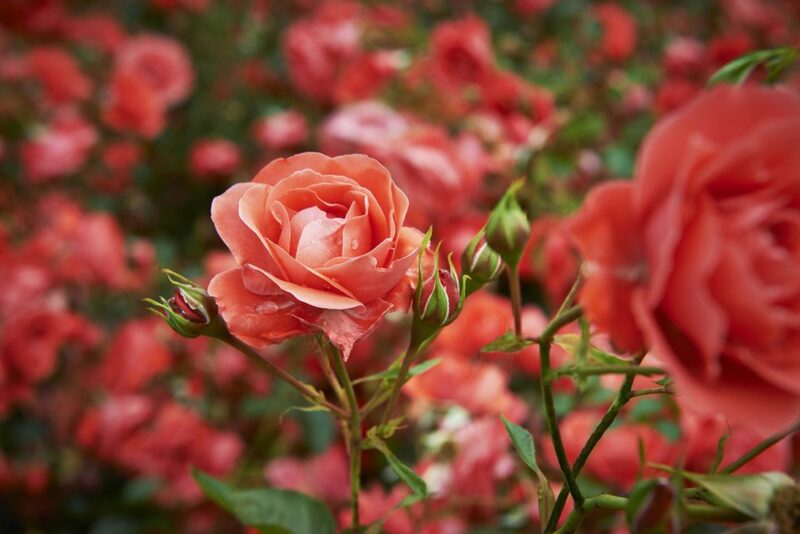 Get ready to enjoy everything Thomasville has to offer by celebrating the Thomasville Rose Show and Festival April 25-27. This is the 98th annual event. It’s hosted by the Thomasville Rose Society. There are three divisions you can compete in: horticulture, arrangements, and photography. Even if you don’t want to compete, there are a whole lot of events for you to enjoy. There is going to be so much going on at the Thomasville Rose Show and Festival. Here are just a few of the fun things you can take part in. Children’s Rose Bud Parade – This adorable parade will have hundreds of area children participating, and cartoon characters will act as parade marshals. Admission is free! The parade starts at 7 p.m.
Thomasville Garden Club Fashion Show and Luncheon – Get tickets to a great lunch and a fun fashion show at the Garden Center. 98th Annual Rose Show – After the ribbon cutting ceremony at 1 p.m., enjoy free admission to see beautiful roses in all kinds of varieties in the tent. Admission is free. Rose Parade – Enjoy floats, marching bands, stilt walkers, and more in this annual favorite parade. Admission is free. The parade begins at 7 p.m.
Street Dance & Fireworks Show – Stick around after the parade for a free live concert at 8:30 p.m. and a fireworks display at 10 p.m. You and your family will have so much fun hanging out at this fun, free event. Rose City 10K & Rose City Golf Classic – Get your exercise in while enjoying this fun community weekend. Call 229-225-4333 for details on the 10K race. Rose Show, Flower Show, and Orchids on Parade – See all the most beautiful flowers grown in the area throughout the day. Rose Festival Art Walk and Art in the Park – See artists create in person, hear live music, and enjoy kids’ craft activities. Bark in the Park – Participate in pet contests or meet a new potential furry family member from the Human Society. Rose Fest Sip & Stroll – Enjoy downtown Thomasville with beer and wine, shopping, and live music. Rose Fest Finale – This new, free event featuring a live concert, live mural painting, and food trucks at the Ritz Amphitheater. You’re going to have so much fun seeing some of the best parts of Thomasville during the Thomasville Rose Show and Festival. But you want to make sure you can get around town safely and in style. We can help with that at Thomasville Toyota. Come pay us a visit for help upgrading to a reliable, fun new ride.